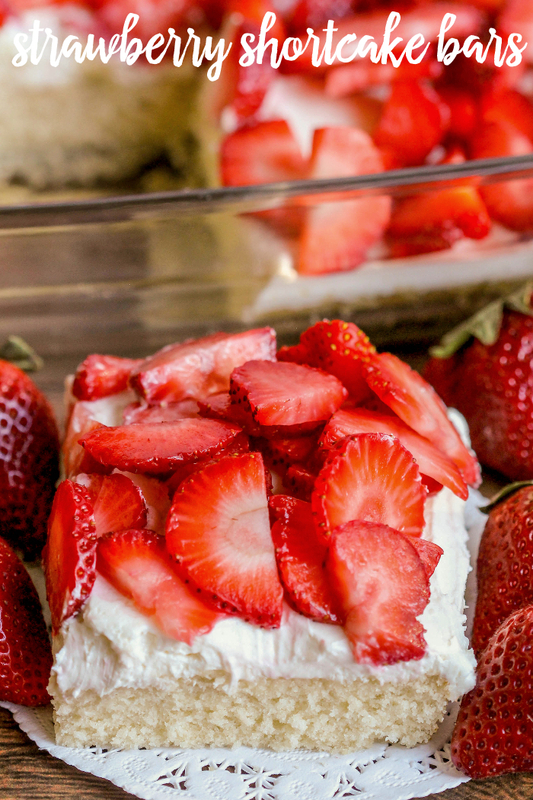 These Strawberry Shortcake Bars from Divas Can Cook are now a favorite among the adults. The super soft cake like crust perfectly combines with a light layer of cream cheese and whipped cream, topped with fresh cold strawberries. It's heavenly! If that doesn't sing "Happy Birthday to you", I don't know what does! In a large bowl, beat together sugar and butter until creamy. Mix in eggs, baking powder and salt. Alternate between adding in the flour and milk, beating after each addition. Beat until all ingredients are combined. Stir in vanilla extract. Pour batter evenly into a greased and floured a 9 x 13 inch baking dish. Bake at 350 for 18-20 minutes until a toothpick comes out clean. We sure not to over bake. Cake should be flat and light in color. Let cool completely. Set aside. Dice up strawberries and set aside. In a large bowl, cream together cream cheese, powdered sugar and frozen whipped topping. Evenly spread cream cheese mixture over top of cooled cake. Top with diced strawberries. 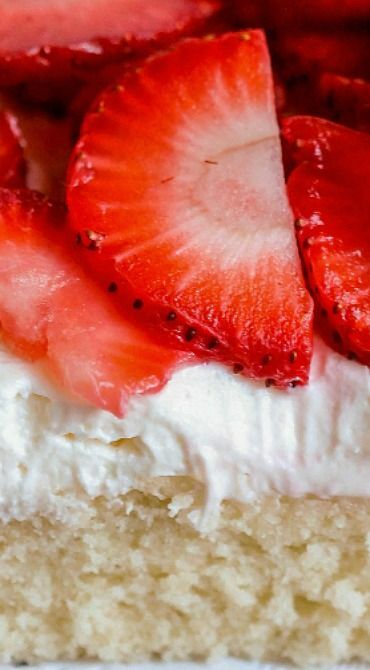 0 Response to "STRAWBERRY SHORTCAKE BARS"